Game One of the 2011 World Series starts in about three hours from now, and I still can’t believe it. I know what he means. I’ve talked about what it’s like to grow up a Ranger fan before, so I won’t repeat that here. But I can tell you, we’re all still shocked by all of this. First, we even MAKE the World Series, at all. That was amazing enough. But, now? Two years in a row? Are you kidding me? See, we have no reference point for this. We’re in uncharted territory. The Yankees. Teams like them, they go to the series two years in a row. I was happy to see the Rangers in it at all last year. Last Fall, I genuinely said, and I genuinely meant, that I was just happy to see them there. I even went to a series game that we lost. Didn’t care one bit. You kidding me? I was at a WORLD SERIES GAME!! In ARLINGTON!! But, this year, it feels different. I don’t want to get too far ahead of things, but it feels like this team has come back to finish the job. They willed themselves to it, even without Cliff Lee. They’re a better team without Cliff Lee. That tells you something. But let’s be clear, we want them to win it not only for us, but for all Ranger fans everywhere. 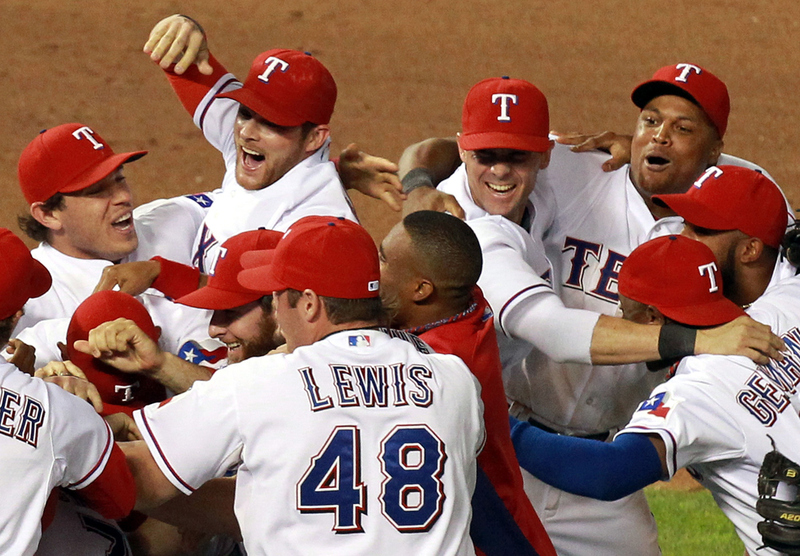 And, for me, more than this, I want them to win it for the Texas Rangers of the past 40 years. That’s right. ALL of them. Because, those guys have always been our guys. But we remember them. They were our childhood heroes. And, by God, they deserve redemption over these next seven games too. I understand that genuine Cardinal fans exist. Heck, I grew up hearing my Dad talking about Enos Slaughter’s Mad Dash. The Cardinals are another of baseball’s great franchises. They’re kinda like the Yankees, only nobody hates them. They’re kinda like Detroit, in terms of their history. If you threw a dart at a baseball timeline stretching back to the 1800s, at least one of those teams would have been in the “hot” team that everybody was talking about at the time. Sometimes, more than one of them. I grew up hearing the history of these teams…Willie Mays…Mickey Mantle, The Babe…Stan the Man….Al Kaline….Ty Cobb…. Legends, all. And that’s not even a tenth of them between these teams. I grew up, learning this history, like I was learning about Lexington and Concord. And now, my Rangers have faced them all these past two years, and are knocking on the door history themselves. But, to everyone considering cheering for the Cardinals, we invite you to join us instead. See, we’ve only ever been here twice. They’ve won five times. And even though the experts seem to be calling us the favorite, you’ve got to understand that in our hearts we still think we’re the underdog. And we hope you’ll cheer for us these next seven games, and help us achieve final redemption. Not only for these current players and fans, but for all those over the last forty years. Spiritual Reflections on "Occupy Wall Street"
Buck and McCarver "Blow the Call"